Looking for the ​most effective vole traps for your garden? How do ​vole traps work? How to use vole traps? Are vole traps safe to use around my children and pets? ​Voles do look cute. However, they are more than capable of causing extensive damage to your garden. Vole traps are the most reliable solution in helping you get rid of these pesky diggers. With that, our top picks goes to the CaptSure Reusable Vole Traps. ​It is the most effective and most humane way of eliminating the vole population throughout your yard or garden. ​CaptSure is a special trap of trap that doesn't require the use of poisons, chemicals, and electricity making it very safe to use around children and pets. ​CaptSure is very easy to set up. You can use them throughout your garden and even inside your house to capture other types of invasive rodents. It offers a see-through design so you'll know whether or not the trap has caught something even when you're just passing by. The traps are made of waterproof material and can be easily. Continue reading for our full breakdown and more information on ​vole traps! ​How Do Vole Traps Work? ​How To Use Vole Traps? ​Are Vole Traps Safe To Use Around My Children And Pets? Check out our below list for a summary of our results. Keep on reading to learn more about vole traps! Want to skip all this research and just hire a decent exterminator for your ​vole problem? ​Voles don't mean humans any harm. However, their quest for survival can take a frustrating toll on someone's yard or garden. Voles can easily wreak havoc throughout your garden as they dig their way to their sources of food. Voles eat grasses, fruits, seeds, tubers, bark, and other types of vegetation that can be easily found in your garden. Although voles only have an average life span of up to six to twelve months, such time is more than enough to deliver serious damage in your yard or garden. Even worse, voles can reproduce 6 to 10 times a year with no less than 5 young per litter. ​Vole traps are used to prevent further damage on the property's vegetation and landscape. These traps can offer live capture or a humane way of eliminating the vole population. ​Vole traps work in a variety of ways. Either way, these traps are designed to help property owners curb or totally eliminate the entire vole population in the yard or garden. There are vole traps that are geared with a sensitive spring mechanism that snaps onto the vole. There are also live capture traps that come with one-way or spring doors. A not so popular form of vole trap is one that uses a special type of adhesive which glues voles inside the trap. ​Vole traps are effective in dealing with light to medium level infestation. The number of traps to be used must be appropriate to the size of your infested yard or garden and the assumed or pre-determined number of voles that are present in the area. ​Other forms of control are needed to counter more serious cases of vole invasion. More importantly, it is best to acquire help from professional exterminators. ​Basically, there are two types of vole traps - those that need to be baited and those that don't. Traps that don't require any form of bait or attractant are designed catch voles instantly as they pass by. ​In some cases, baits make traps even more effective in catching voles. Most of the time, peanut butter, oatmeal, and apple slices are used as a bait for various types of vole traps. Most traps are easy to set up and ready to use. Place these traps along burrows dug by voles. Secure these traps at the right angle to make it ​become naturally part of the runway established by voles in your garden. ​Make your rounds daily on the traps you have set to see which ones have some voles in it. Traps have varying mechanisms in releasing or removing voles caught inside it. Innovative traps are designed with touch-free removal feature. ​Most vole traps nowadays don't require the use of poisons or chemicals to be effective. As mentioned earlier, these traps have one-way or spring loaded doors in order for the device to effective catch voles as they pass by. Other types of vole traps come with interlocking teeth that fatally snaps onto the vole through the aid of a high sensitivity trigger. And since these traps don't use poisons, chemicals, glue, and even electricity in catching voles, it is safe to use around children and pets. The following video will give you more tips in catching voles from your garden. If you do think you have voles in your garden or backyard, we highly recommend first consulting with a local exterminator before using sprays or any other method of vole control. Improper use can and will make your vole problem worse. Curious about other rodent related products? Check out our other detailed guides to help you deal with your pest problems. If you want to ​make your garden free from voles, the ​traps below should help. If you already have voles, our recommendation would be to consult a professional and secure an appropriate control on the level of your infestation. ​As much as you hate having voles inside your garden, the critters on their part are just doing their best to survive. CaptSure 2019 ensures that your garden becomes free from voles without harming a single creature. ​These vole traps are easy to set up and use. The device offers a see-through design for easy monitoring day in and day out. Simply place these traps along suspected vole runways and catch the critters in no time. ​The CaptSure 2019 traps are also an ideal choice for homeowners with children and/or pets. It doesn't require the use of any type of poison, chemical, or glue so it's practically safe for everyone. ​Lastly, the traps are waterproof and easy to clean. Set the traps on pre-determined spots, catch some voles, release them to a more appropriate habitat, wash the traps, and reuse them for catching more voles. ​If the voles in your garden have already gone way over your nerves, the Harcci Rodent Trap is the best choice that we can recommend for you. These traps are designed with high sensitivity that triggers the powerful interlocking T-rex teeth. ​You also won't have to worry about having your fingers getting caught between those hungry teeth. The jaw of the trap is easily set through the aid of a foot pedal. ​It's basically built to withstand all sorts of exposure from extreme weather elements. Place these traps inside your house or on your garden and still expect them to be working in full capacity even after using it for the entire year. ​Voles can be very clever and may have established multiple runways throughout your garden. The JT Eaton Bait Station is perfect in eliminating even the most clever of voles in your garden. 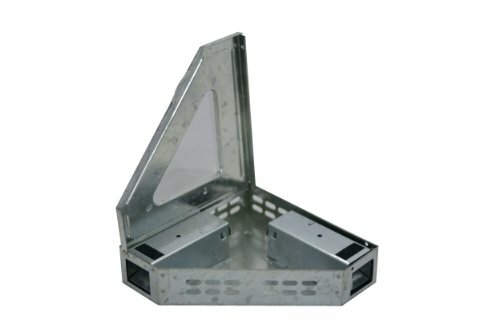 ​The design of the bait station makes it a suitable device in catching all types of rodents pestering your home from the inside out. The construction of the trap follows a T-shaped design providing easy access to voles from both direction while securing the bait vertically. 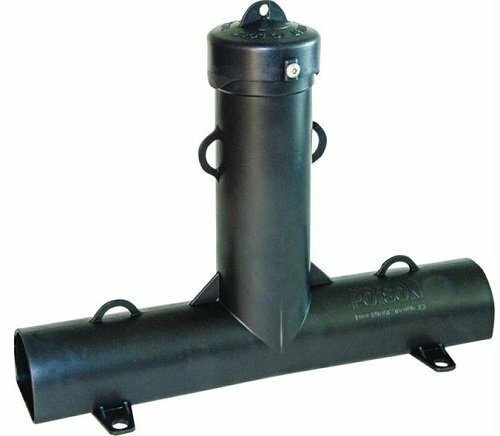 ​The bait station comes with a top cover that can be secured with a screw to make sure that your children or your pets will never get too dangerously close to the poison or chemical you chose to use in eliminating the vole population in your garden. ​If you are looking for something sleek and simple, this vole trap could be your ideal choice. 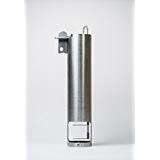 It is made of high quality stainless steel material to withstand the extreme elements present in your garden. ​This vertical trapping device has two-way spring doors that snap shut whenever a vole passes through it in both directions. It offers a touch-free removal of the vole and doesn't require the use of any chemical or poison. ​In using the Tomcat Trap, locate first the subterranean tunnels made by voles through the aid of a searching rod. Once you have located it, dig a hole perpendicular to the tunnel. Place the trap into the hole and fill the gaps around the trap with soil. The lever at the top part will let you know if the trap has already caught a vole. ​If you are faced with a more serious vole problem in your garden, what you really need is a trap that can catch multiple voles at a time. 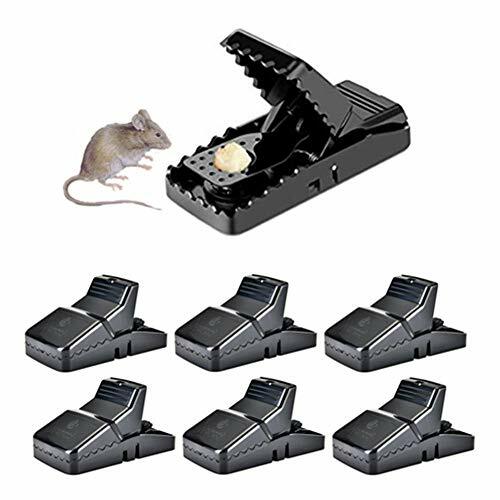 The Multi-Catch Repeater Mouse Trap is capable of capturing multiple voles at a time. 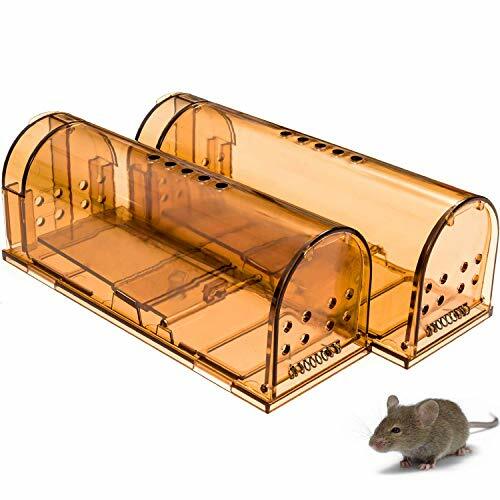 It is designed to be used outdoors (for voles) and indoors (for house mice). It can be placed snugly on the and has a viewing window for easy inspection. ​The trap doesn't require the use of baits and no winding is needed. It's simple, highly effective, and very easy to use. ​It's a trap with a see-through design from the bottom up. Unlike with the Multi-Catch Repeater Mouse Trap, it's a whole lot easier to see if whether or not your trap has caught something. ​The traps are easy to set up, clean, and reuse. It's efficient in catching those garden critters humanely. Please Note*** If you are attempting to kill or remove a ​vole problem, we highly recommend you consult and potentially hire a licensed exterminator or else you risk making your vole problem worse. Click here for our tool to help you find free quotes from pre-qualified exterminators in your area.